I think I am hearing it more these holidays because I have put a one hour time limit per day on gaming consoles and ipods (what WAS I thinking?!??). The little one (Mr 8) I can bribe into playing with his Lego, doing some drawing, make things, watching a dvd with me or read. The middle child, not so much. He would be quite happy to be on his ipod 24/7. Speaking of minions, if you haven’t yet seen Despicable Me 2. Go see it! I have never laughed so hard at a kids movie before and the boys absolutely loved it. As soon as it comes out on DVD, we will be buying it! Epic is another great kids movie out at the moment, we really enjoyed it. We initially thought it might be a bit ‘girly’ or boring but the boys and I really liked it. 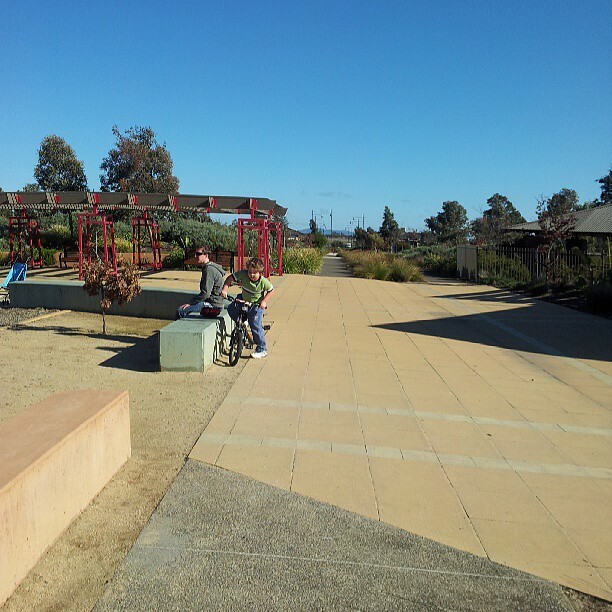 The weather has been lovely in Melbourne lately, sunny and warm with temperatures in the high teens. Yes, I’m talking about Melbourne… we are as shocked as you are! See! Proof! Mr’s 18 and Mr 8 came with me for a walk around the estate with Max the Shihpoo yesterday. Other than taking the boys out and about while the weather is nice, what other ideas do I have to keep Mr’s 8 and 11 occupied during the holidays, I hear you ask! Well, I’m glad you asked, as I have been coming up with ideas over the last few weeks via Pinterest and the interwebs of what I could do to stop from hearing “Muuum, I’m Booored” for two weeks. Melbourne tends to be freezing and wet this time of year, so I needed indoor activities they would be interested in doing. 1.Board games… no, not bored games! Board games. You don’t need to spend a lot to make some fun games for the kids. How about Lego snakes & ladders? Easily made on the computer and printed out. 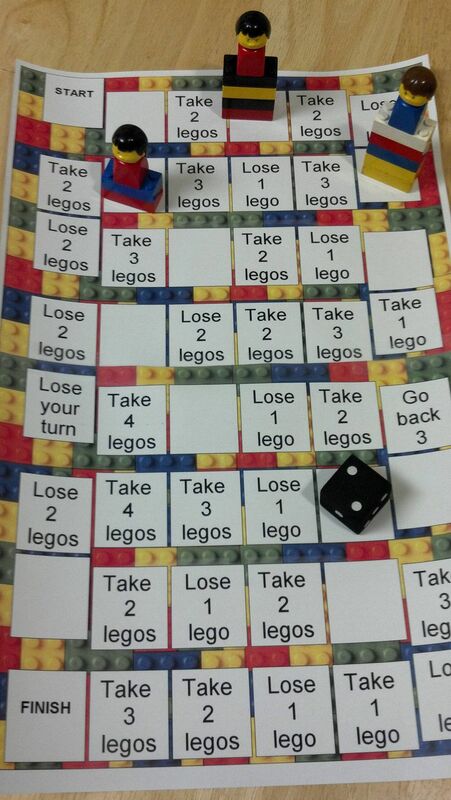 All you need is Lego pieces and a dice. If you can’t be bothered or don’t have the time to make a board game, Kmart has games from as low as $3! 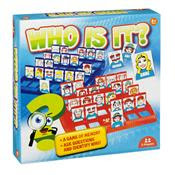 The best part is, you can buy games we grew up with for $5, like ‘Who is it?” (Guess Who) and “Line up 4” (Connect 4). You can see Kmart’s online range of games here. Personally, I think being able to purchase games and toys online is a fantastic idea. 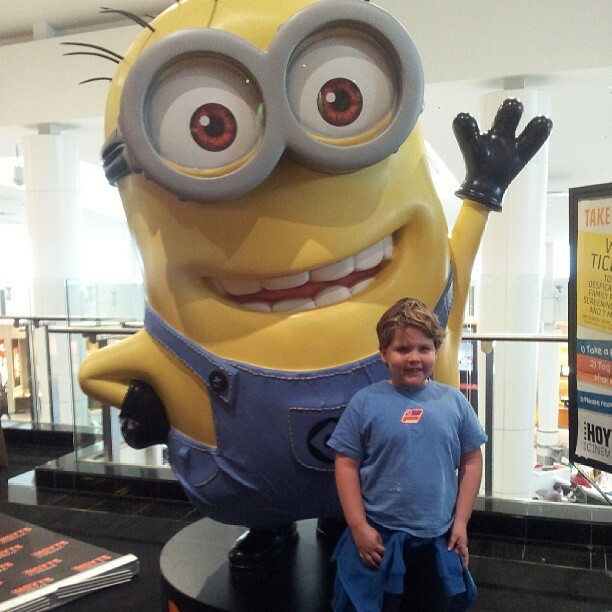 Have you been to the shopping centres during school holidays? It is mayhem! I try and avoid ours over the school holidays for that very reason. It’s scary! 2. Make an indoor cubby house! All you need is a few dining chairs and a sheet or blanket over the top, chuck a few cushions in on the floor and voila! Instant cubby. If you have bunk beds, you can also do this by tucking a sheet or blanket under the mattress of the top bunk. 3. Make some play doh. I have been using this recipe for years and it is fantastic. The doh doesn’t try out as easily as the branded doh and the boys have as much fun making the doh as they do playing with it. 4. Movie afternoon. This is probably the easiest way to keep the kids entertained, and as an extra bonus, you get a rest too. Get lots of pillows and blankets or throw rugs. Lots of snacks like lollies and microwave pop corn. Pop a dvd on or stream a movie (we have Apple tv). Just snuggle up with the kids and relax. 5. Cooking. Kids LOVE baking and it teaches them independence and a valuable life skill. I have previously posted my favourite cupcake recipe on the site here and the boys are quite partial to chocolate chip cookies. I also have kids recipe books I’ve been buying over the years from supermarkets and Kmart. I think books are better with kids because they can actually see what they can make. Plus it’s fun to flick through the book looking at the recipes. I had a recipe folder from when I was about ten. I used to pull out all the recipes I thought I could make out of Mum’s Family Circle, Better Homes and Gardens and other magazines she might have bought. I remember once trying to make scones in the microwave oven. Yes, microwave. 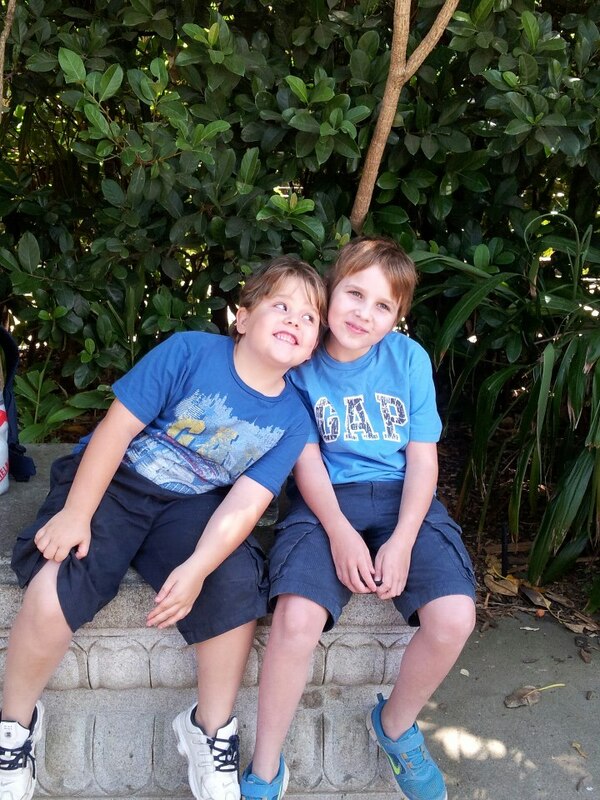 I also plan to take the boys out to the park, maybe the Melbourne museum next week, tennis at the local tennis court and into Williamstown to see the ships, have some lunch, do a bit of shopping and buy some cupcakes from The Cupcake Queens. THE best cupcakes in Melbourne. 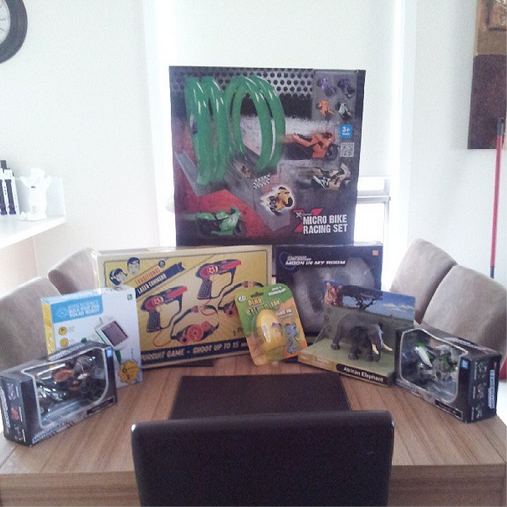 Oh and thanks to Kmart Australia the boys have all this to play with! You should have seen their faces when we opened the box and the unison chorus of “Wow!!”. 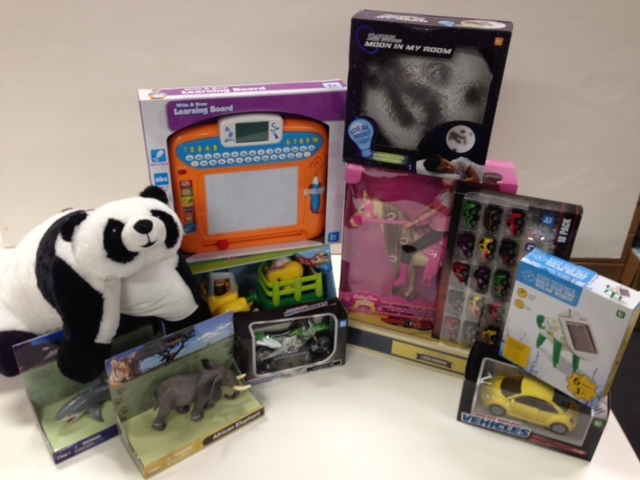 Also, thanks To Kmart Australia, YOU can win $150 worth of toys too! All you have to do is enter via Rafflecopter below. * This giveaway is run per our Disclosure Policy. All views are my own and as I regularly shop at Kmart, I was quite happy to run this competition and work with Kmart. My Children are not old enough for School Holidays yet but Im sure my Favourite Thing in the Future will be Going on Family Adventures together. And watching my kids all play! I enjoy not having to rush through out the day. We also get to have the freedom to go out to the park when we want to, go to the movies,etc. I just love being able to be around the kids more than normal, and NOT having to pack lunch box’s, I HATE doing that! My son is only 14 months old, but Im sure when he is at school I will love not having to be out of the house too early and going on outings to the museum and doing free activities. I enjoy not being the mummy taxi. My older girls dance everyday after school during the school term and because they are different ages they dance at different times; plus the oldest does school dance early in the mornings and 1 afternoon a week. During the school holidays, this all stops and it is absolutely bliss. School holidays allow us to sleep late at night and wake up late in the morning. We can be in our pyjamas for whole day if we like. we can watch cartoons for whole day if we like or we can spend whole day in the playground. I love not having to run around like a headless chicken in the mornings. And I love spending relaxed time with my 3 kids. My nephew is still a baby, but when he gets older hopefully I’ll have time (or should I say he’ll have time) to take him to the park and kick the footy. I must say I don’t miss the morning school rush. Love cooking/making breakfast together, more time for play, less stress and cuddles in out pj’s! I love the no-rushing-around-like-a-mad-thing mornings. I love that I can spend some real quality time with my daughters. Everything is much more relaxed, and we get to do lots of fun things together.